Wing to the Left is the new AC50 one as indicated by Langford. Wing to the right is former Wing used in the AC45 Turbos (Photo from Feb 15) The AC50 wing is mounted on the 3rd AC45 launched by Oracle. Below the new L daggerboard , photo also from Feb 15. Compare with last image from Nov 2015, and last pic from May 2015. 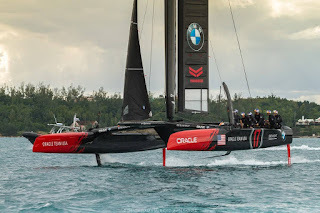 The current is one has a huge L. I remember first Oracle L foils for the AC72, they had also the vertical straight section which was later modified as the foiling stability was not good at all. 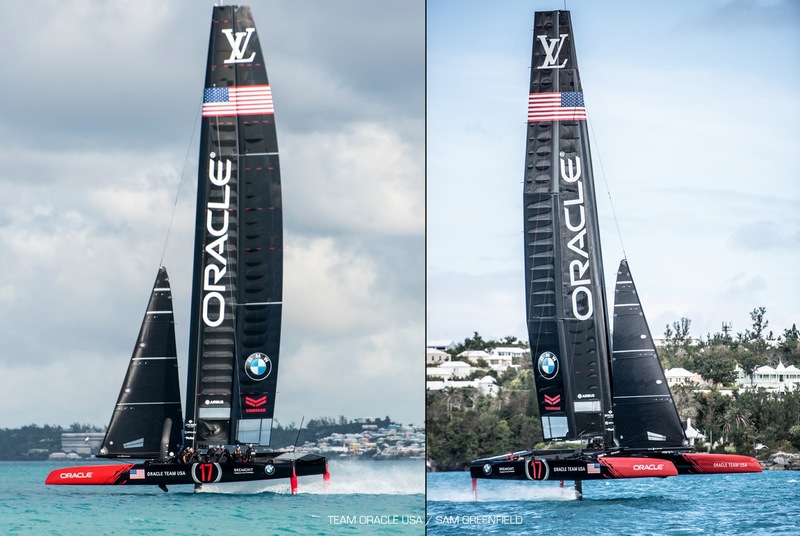 Now it seems designers are re visiting the hard L concept after the C/J combo imposed by Team New Zealand. 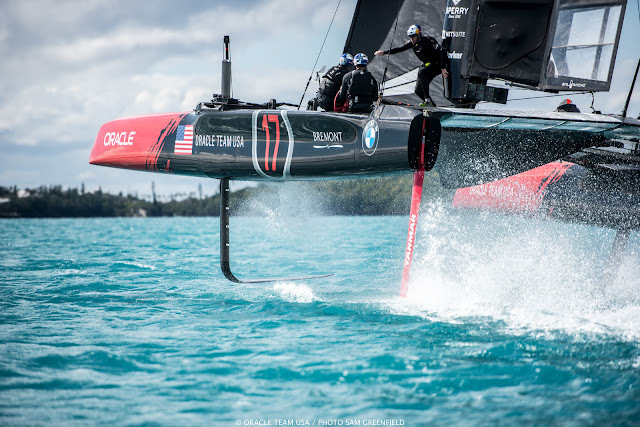 Lots of testing going on at Bermuda on the Turbos. 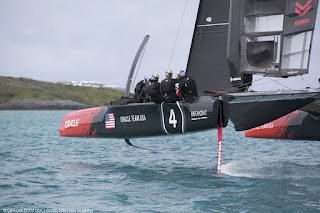 This AC45 using the 'AC50' Wing above is not using this L though. The ACWS Series is being raced in the standard AC45 foiling platforms with OD foils. Click images for more quality.